Today, I'm sharing a few of my women's travel essentials. These are things that I don't like to travel without. Things that I always have with me and think that other women can benefit from having during their travels. Hey, there are a few things on here that men may also benefit from! Travel has the ability to take us out of our usual comfort zone. Security makes it difficult to pack all of the comforts of home, but with these essentials, you can make your trip just a bit more comfortable. And I'm leaning a bit minimalist in this list because I want to be a sustainable traveler who is conscious of the waste that is created by traveling. And because I am a believer in packing lightly. I always bring my Nalgene with me on trips, regardless of if I'm working or going on a personal trip. This way, I always have something to put my water in while traveling. The only thing I have to worry about is where to get water. This can range from a water fountain in an airport to buying large bottles of water at a supermarket and using them to fill my water bottle. It also helps to have a carabiner - you can attach your water bottle to your luggage while you're traveling. My trusty Nalgene has been one of my travel companions for years. 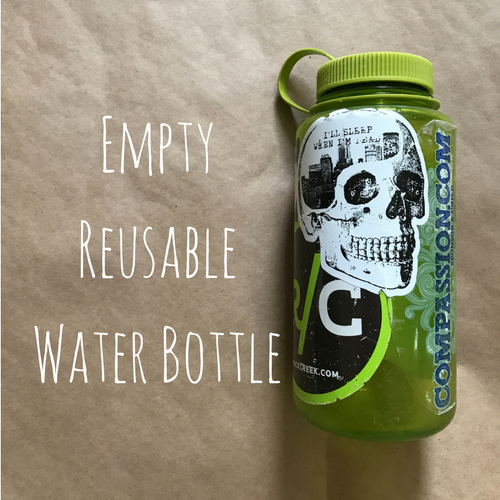 They are very durable water bottles, easy to clean, and hold a lot of water. I recently got a splashguard that makes it so much easier to drink from, especially when on the move! Sheet masks are a great way to keep up with your skincare routine without bringing a million specialty products on your trip. They'll make it through security if you pack them in your carry-on. They're great to use on long flights where your skin needs all the hydration it can get. Another plus of using sheet masks is that they're a lot less messy than traditional masks. You don't have to wash anything off and the residue on your hands is minimal. The two pictured above are two of my favourite Tony Moly masks - I tend to like brightening and purifying masks as I feel my skin can look dull at times. Pack a couple of these for your next long-haul flight and use them when you feel your skin needs a little extra love. I bought mine at Ulta. Facial spray is another great way to keep your skin hydrated. This 1.7 fl oz size is perfect for travel, and the can is recyclable! I am all about reusable and recyclable options, especially while traveling. If you wear makeup while traveling, you can also use this to refresh your look before getting off the plane. I try not to wear a lot of makeup while traveling (unless I'm working), so I'll use it just for a nice refresh and wake up before getting off the plane. Just another way to feel hydrated and fresh after getting off of a long flight. I buy mine at Ulta. As soon as I became a flight attendants, my colleagues told me how important it was to have compression socks and hosiery. I've spoken to so many flight attendants that wished they had started using compression hosiery earlier in their careers. I may only be 30, but I wear them all the time. They are a task to put on, especially if they're a brand new pair, but they're worth it. At the end of a long day, my legs don't feel worn out and tired. I'm able to get off of a long-haul flight and go for a run. Even if you're not on your feet all the time like us flight attendants, it's good for travelers to wear them to encourage good circulation. Especially on long-haul flights. Your legs will thank you. I love to write (obviously) and my brain is constantly thinking, dreaming, working out problems. So I always carry a little journal to scribble down my internal ramblings, future plans, and various lists. Plus, it's a way to stay busy during a long flight. A small journal like this can be packed practically anywhere. I bought this as a set of three at Target. These reusable pots and bottles are game changers. Especially for a natural curly girl like me, there are products that I just don't like to go without. You can use these for practically anything. I use them for a variety of products: deep conditioner, gel, facial moisturizer, salad dressing, mouthwash, etc. The possibilities are endless. REI has a number of different sizes and shapes of these little Nalgene pots and bottles. These particular bottles are more sturdy and durable than other travel bottles I've used from big-box stores. I recommend them for those of us who would rather bring a little bit of our specialty products with us than try to find something similar in our destination. Is this TMI? Oh well if it is ¯\_(ツ)_/¯. At least I didn't take a pic of my actual Diva Cup 😂. I started the Diva Cup a few months ago and it is another game-changer. First of all, I'm a lot less wasteful, seeing as the Diva Cup and its various alternatives are reusable. Secondly, I'm able to be on a long-haul flight without having to change it multiple times. 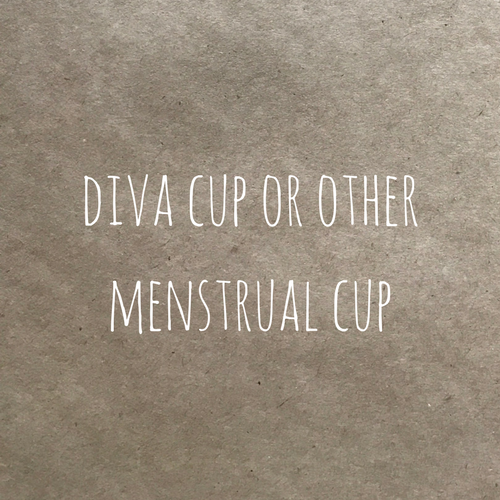 Whether it's the actual Diva Cup or a different menstrual cup (there are plenty of options out there), I think that they're worth a try if you've never tried one before. I will say, you will get a bit more *ahem* in touch with your monthly visitor. But I see that as a bonus rather than a negative. You can gauge your flow a lot better. If you're curious, you can check out the menstrual cup subreddit and learn more before you try it. From what I understand, they don't work for everyone, so don't be discouraged if you just can't get the hang of it. But there is no harm in trying! Those are some of my favourite women's travel essentials. Of course, we would all like to take the comforts of home along with us. While we can't always do that, we can make travel a little bit easier on ourselves by using some of the things I mention in this post. Let me know - what are your favourite travel essentials? Does anyone out there struggle with what to bring? Are there things that you'd rather not go without? NOTE: All of the products that I feature in this post are just my favourites. I receive no compensation for any links visited or products featured in this blog post.